The Broadcasting Authority of Ireland (BAI) has announced that its guidelines applying to coverage of the forthcoming 36th Amendment of the Constitution, scheduled to take place on Friday 25th May 2018, will come into effect from Friday, April 6th. The guidelines, published by the BAI in March 2018, have been developed further to the provisions of the BAI Code of Fairness, Objectivity and Impartiality in News and Current Affairs and provide direction and advice to broadcasters as to how fairness, objectivity and impartiality can be achieved in their coverage of forthcoming referenda campaigns. The guidelines will apply to coverage until the closure of polling stations on the 25th May 2018. 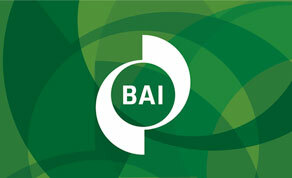 Click here to view IFTN’s previous coverage of the BAI published guidelines.